In January 2013 (my, how time flies), I wrote a three-part series on the question of whether small business owners were better off taking a salary or dividend. I have been asked numerous times by readers, to update the series, but since it took 15 hours or so to write, I resisted. However, I have cried uncle and decided to provide a short update on the absolute and deferred tax savings rates and re-iterate some of the issues you need to consider in making this decision. Bloggers Note: I live and work in Ontario, so I have used Ontario tax rates in my analysis. The discussion should be relevant for most provinces, although there are a couple outlier provinces, so please discuss any tax planning with your accountant. I illustrate these two concepts below. I had some issues with the formatting of the charts that I could not fix, so I apologize in advance that they are not aligned perfectly. Absolute income tax savings are the actual tax savings a business owner would have by utilizing a dividend only strategy over a salary strategy or vice versa. In 2013, using a dividend only strategy resulted in a significant absolute tax savings benefit (3.38%). i.e. you would have $338 more dollars in your pocket if you paid yourself a $10,000 dividend in 2013 than if you paid yourself a salary. However, due to the various increases in income taxes implemented by the Liberals, there is essentially no difference in 2017 on income eligible for the small business tax rate for a high rate taxpayer. This is demonstrated below. Please note I have excluded employer health tax. If you account for employer taxes, there is approximately a .009% tax savings in paying an ineligible dividend vs taking a salary. If you account for employer taxes, the tax cost of earning income not eligible for the small business rate comes down to about 1%. The long and short of all this is; from an absolute income tax perspective, you are pretty much indifferent on taking salary or dividends unless tax rates are changed in future budgets. The above reflects there is a substantial tax deferral when you leave income in your corporation. This deferral allows you to invest that money in your corporation to grow your company, or just invest it passively in stocks, real estate or other investments. However, it is important to understand, this is just a tax deferral, not an absolute tax saving. In the old days (5 years ago) the “conventional wisdom” was to pay a bonus when your corporate taxable income exceeded the small business limit. However, these days, most accountants suggest their clients pay the higher general rate of corporate income tax, if the money is not needed in the short-term (3-5 years depending upon various investment return assumptions) or better yet, the long term (10-25 years). The reason for this is there is a tax deferral of 27.03% as noted above, while the absolute tax cost is 1.88% or less. In most cases where money is not required, the investment returns on the 27% deferral should significantly exceed the small absolute tax cost. Jamie Golombek, the Managing Director, Tax & Estate Planning of CIBC has written several outstanding papers on whether small business owners should take a salary or dividend. In 2011, he wrote a paper titled “Bye-bye Bonus! 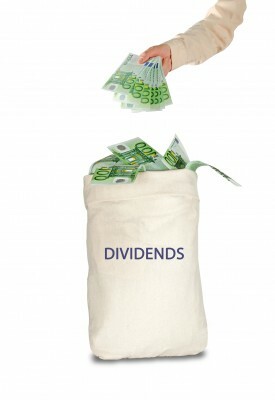 Why small business owners may prefer dividends over a bonus”. This report was updated in 2015 and can be found here. In that report Jamie stated that “Although dependent on the long term assumed rate of return and time horizon, if funds are not needed to fund current lifestyle, it may be advisable to have SBD Income initially taxed inside the corporation at relatively low corporate tax rates. The after-tax SBD Income can then be retained and invested in the corporation with the after-tax amount later paid out as a dividend to the shareholder, so as to enjoy a significant tax deferral of SBD Income within the corporation.” This was essentially the same conclusion Jamie came to for active business income not subject to the small business rate. With the 4% increase in personal tax rates since the publication of Jamie’s 2015 paper, one would assume his conclusions would still hold true. To be sure, I asked him recently to confirm my assumption. 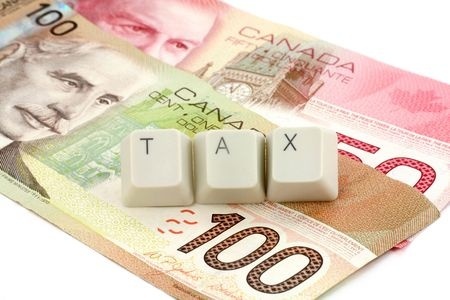 One of the members of his CIBC tax estate planning team confirmed that because of the significant tax deferral advantage for active business income, they would still support payment of dividends over salary in many cases. However, there are two exceptions to this rule. 1. TFSAs - In Jamie’s 2015 report, TFSAs for Business Owners, he commented that it may be better to invest in a TFSA than in a corporation for most types of income (the main exception being deferred capital gains). That is the same conclusion I came to in this blog post. 2. 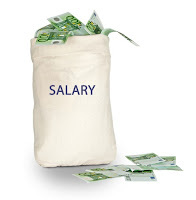 RRSPs - I will discuss this exception next week (in context of a new paper Jamie released just last week) when I review whether you should pay a salary and contribute to a RRSP, or just leave the money in your company and pay dividends, as required, over time.